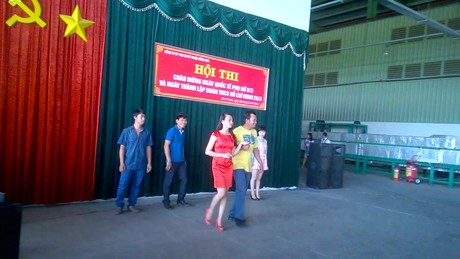 On 28 Mar 2015, Đồng Phú Technical Rubber Joint Stock Company hold Elegance and Talent Competition for all employees on occasion of 105 years of Women International Day 8 Mar 1910 – 8 Mar 2014 and 84 years of Foundation Date of Ho Chi Minh City Communist Youth Union 26 Mar 1931 – 26 Mar 2015 in order to sum up 2-Good Movement for Women and to welcome coming Multi-level Party Congress. 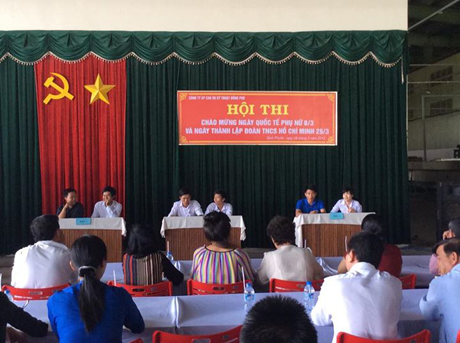 - Ms. Võ Thị Sáu (Former Director of Processing Enterprise ). - Ms. Đồng chí Nguyễn Thị Hạnh (Former Director of NMCB Tân Lập). 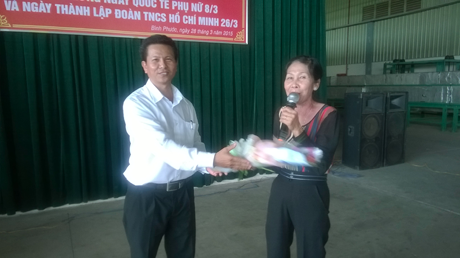 - Ms. Phạm Thị Toán (Former Section Head of Female Board of Đồng Phú Rubber Company). 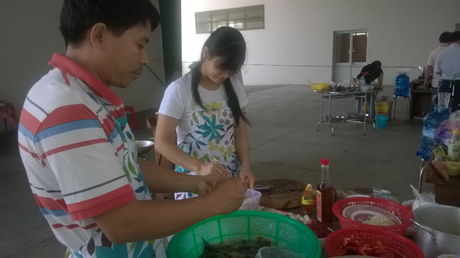 - Ms. Trần Thị Quế (Former Deputy Manger of Adminsitration and Human Resource Department of Đồng Phú Rubber Joint Stock Company). 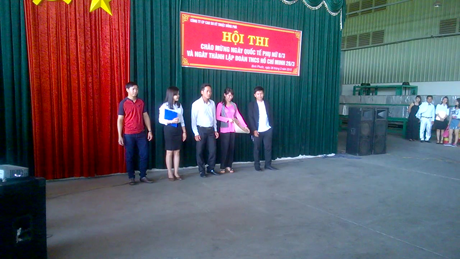 - Ms. Nguyễn Thị Ánh Tuyết: Secretary of Youth Union of Đồng Phú Rubber Joint Stock Company. - Mr. Hồ Trình: Secretary, Director of NMCB Tân Lập. 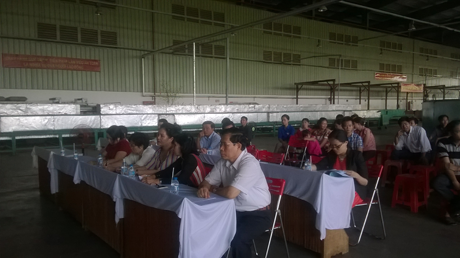 And other Mangers and Deputy Managers of Đồng Phú Technical Rubber Joint Stock Company. - Team 1: Sale Department + Planning Department + HR Department. - Team 2: Accounting Department + Technical Department + Production Team + Sewing Team. 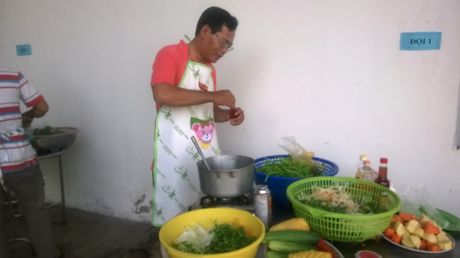 The first part of Competition was Cooking Contest, Knowledge Quiz Contest, and Speaking Contest. 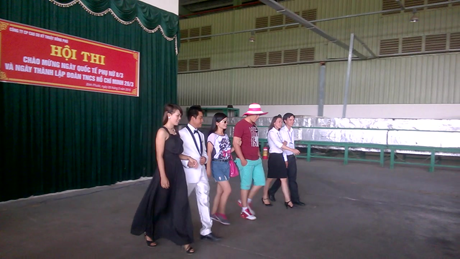 The second part was Elegant Fashion Contest. Competitors had a very good preparation, so that they made the jury and fans interested and impressed. 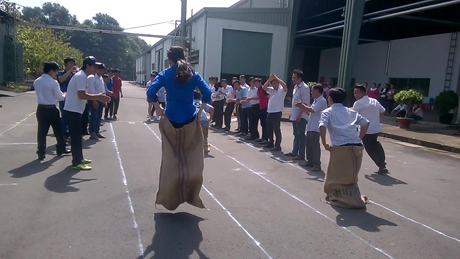 The next part of Competition is sack jumping contest. The last part is Tug Contest. This contest is very exciting. 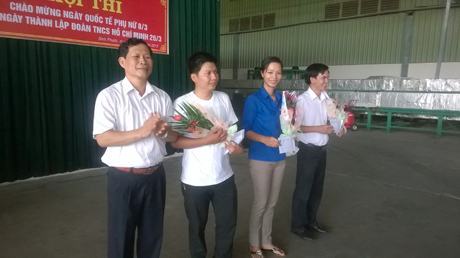 After Competition finished, Mr. Nguyễn Sư Sơn awarded prizes for the teams. 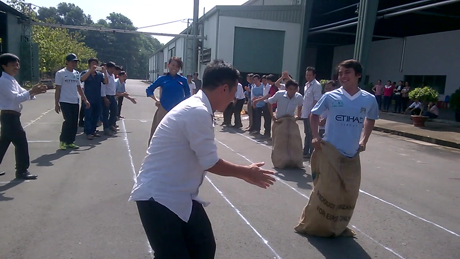 The first prize belonged to team 3, the second prize belonged to team 1 and the third prize belonged to team 2. 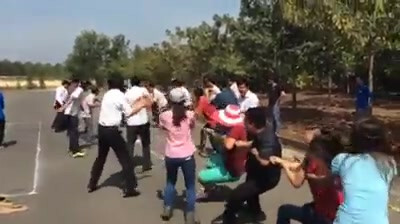 Ending of the Competition was party and entertainment show. 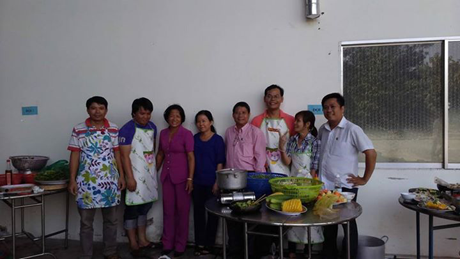 It was a very joyful day for all employees of the Company. 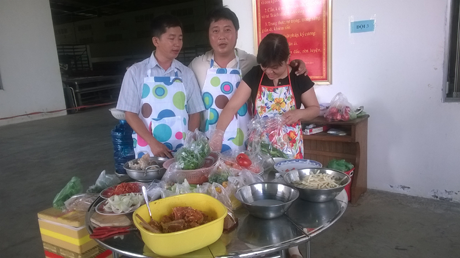 Competition Festival was organized in order to help all employees have a closer relationship, consolidation and mutual understanding, so that they can have a better co-operation while working, make DORUFOAM develop in the coming time.